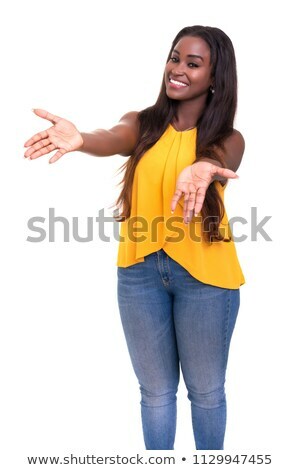 Сток-фото: женщину · знак · Billboard / Woman lifting / showing heavy blank billboard sign. 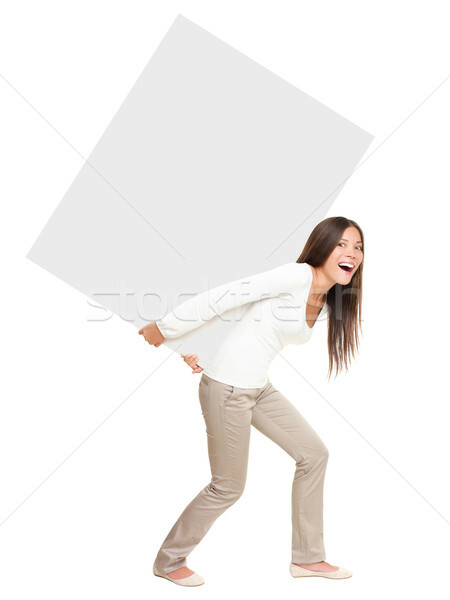 Pretty casual woman carrying empty sign board on her back. 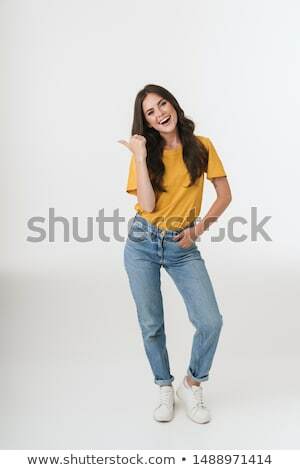 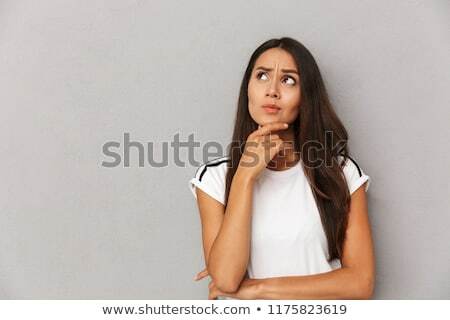 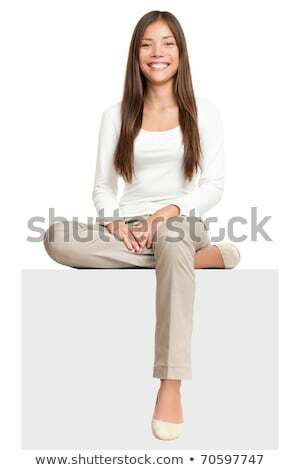 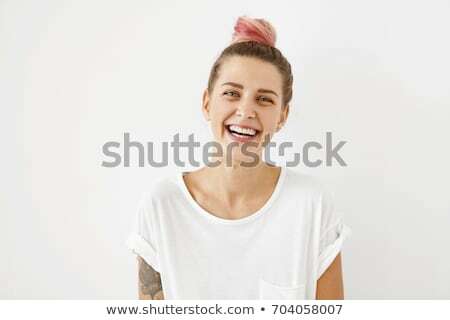 Funny image of beautiful asian caucasian female model isolated in full length on white background.